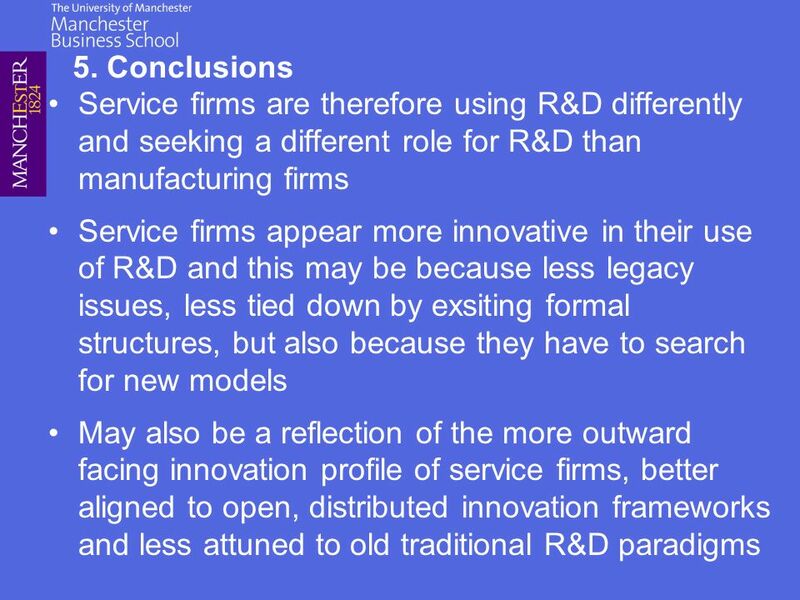 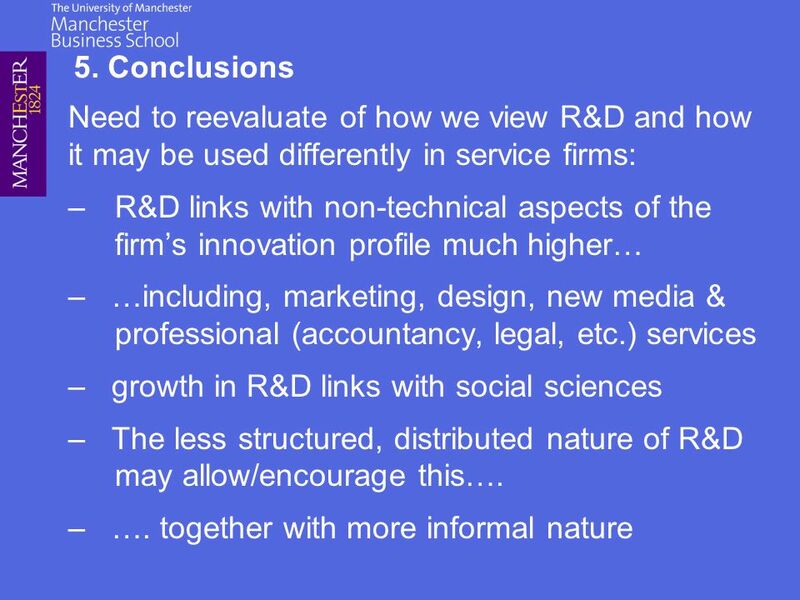 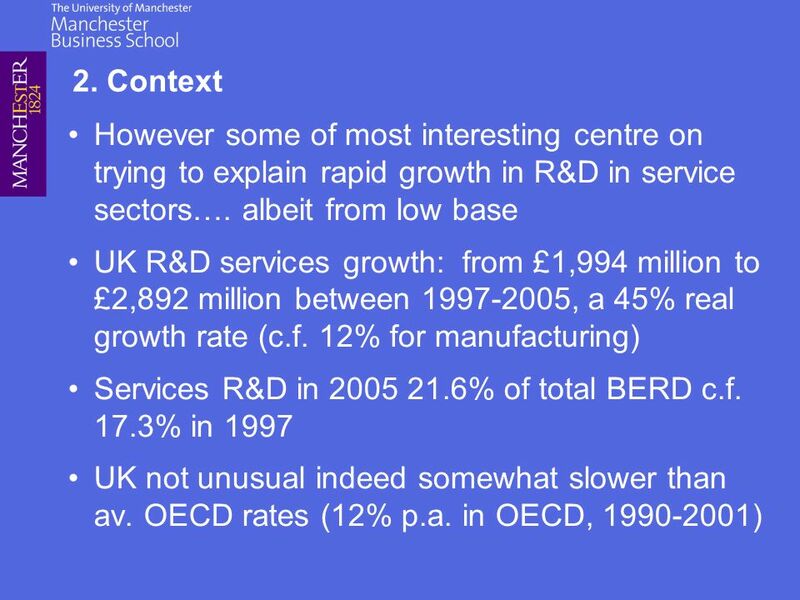 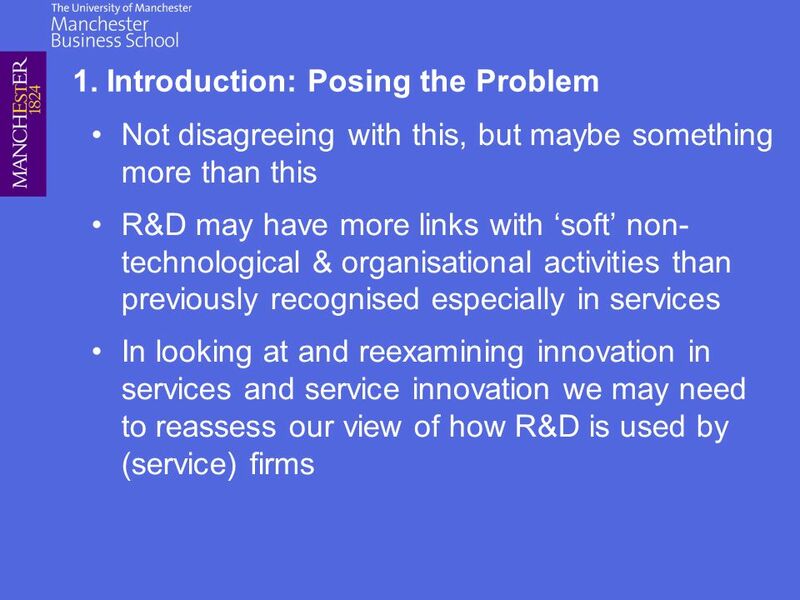 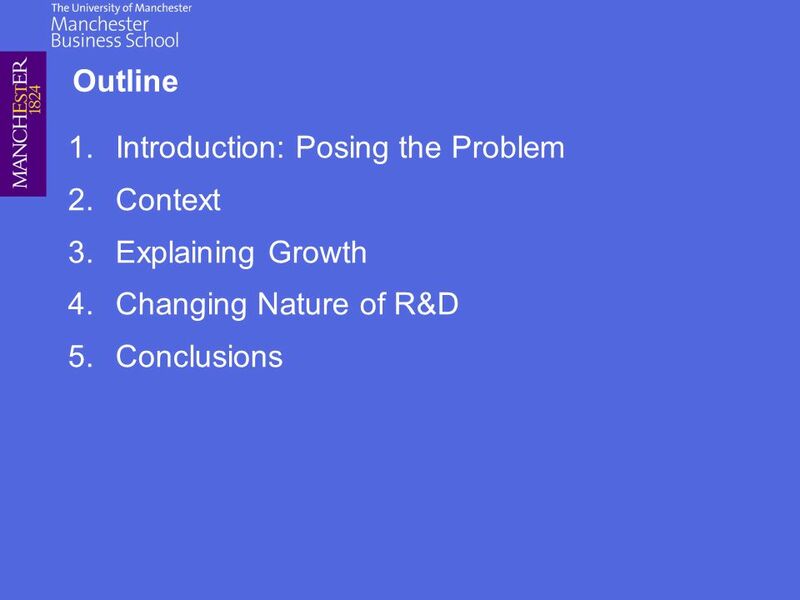 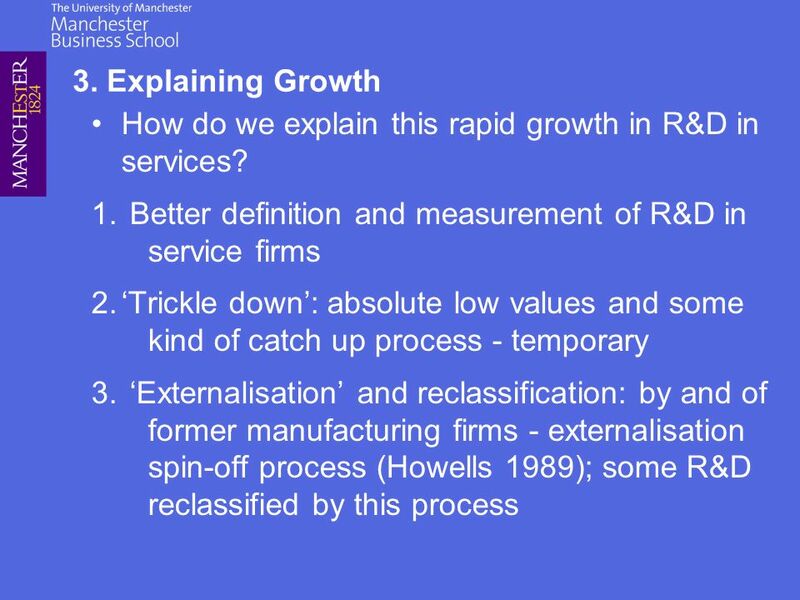 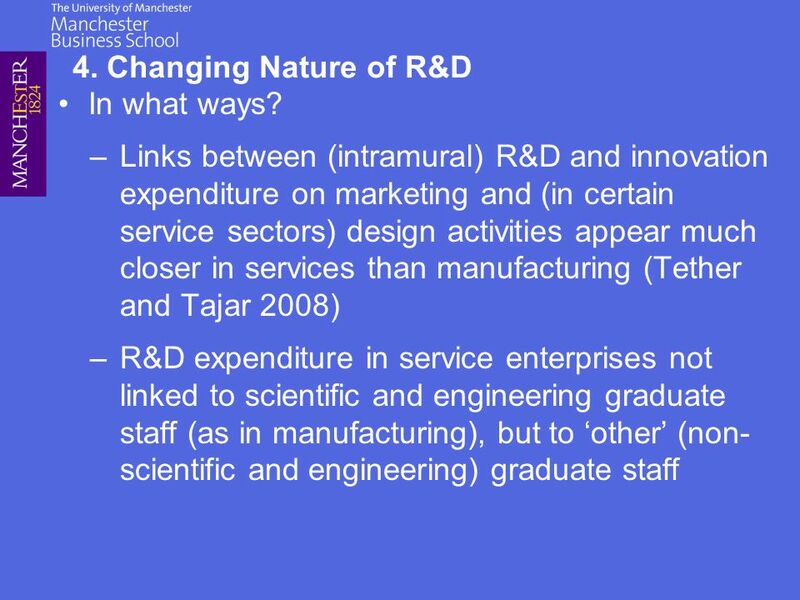 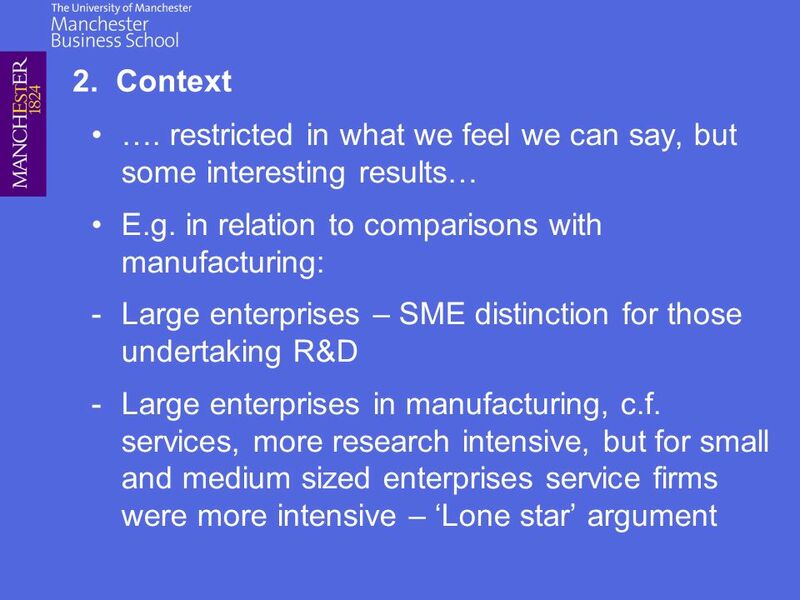 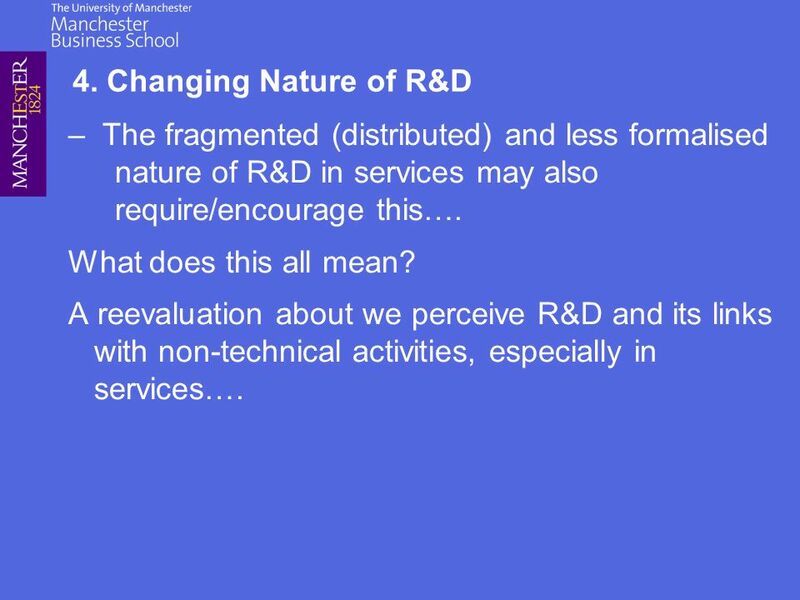 Download ppt "R&D and Non-Technical Innovation in Services: A Reevaluation Jeremy Howells Manchester Institute of Innovation Research Six Countries Programme Conference,"
Innovation, Disruptive Technologies, and SMEs: Constraints and Policy Alan Hughes Centre for Business Research University of Cambridge Presentation at. 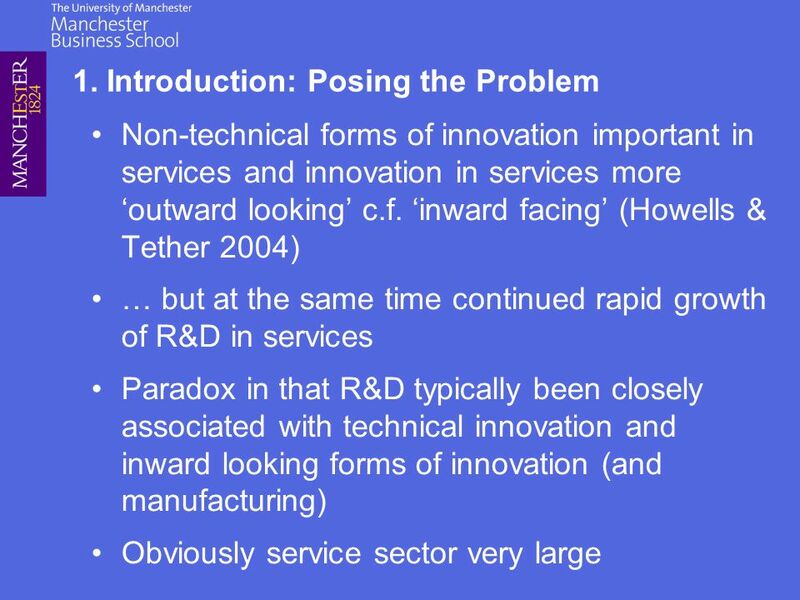 The Global Competition for Talent Innovation and mobility of the highly skilled OECD/France International Conference: CERI 40 th Anniversary Conservatoire. 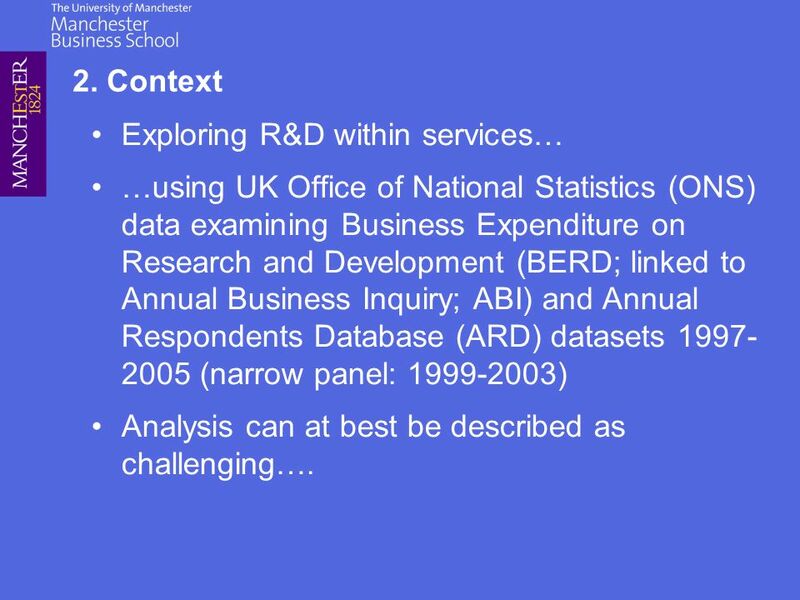 © Catherine LEDIG 1 Presentation by Alsace of the instruments available within the region to support awareness raising activities. 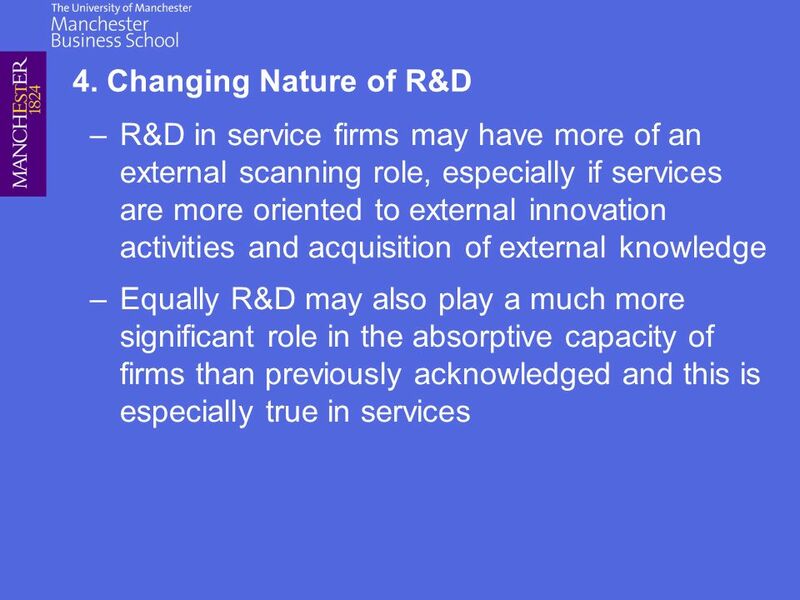 University Industry Relation (in open innovation era) Kazuyuki Motohashi Professor, Department of Technology Management for Innovation, The University. 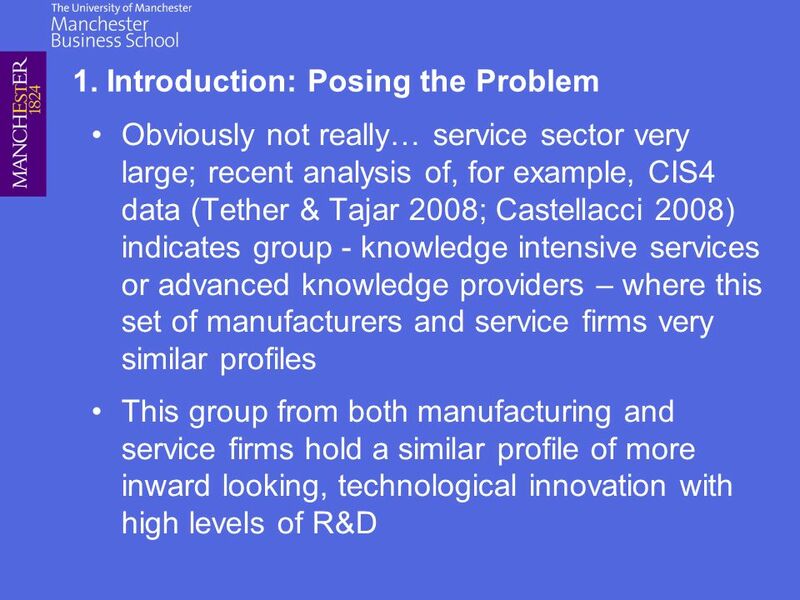 Human Resource Management in the Service Sector Introduction to the service sector Nick Kinnie.